CareerStrategies, LLC is quickly becoming recognized in the St. Louis region as a retained search firm who can identify and successfully recruit top talent for an organization who will deliver maximum performance in return. We pride ourselves on developing a "benchmark" in the front end of the search process for each position we accept and presenting candidates who not only fit the demands of the position but also fit the culture of the organization. CareerStrategies, LLC knows this market and utilizes state-of-the-art assessments to ensure all of our assignments result in success for our clients and candidates. Are you tired of engaging recruiters who submit paper and expect fees? Are you doing business with search firms that are not interested in understanding your corporate goals and challenges? Would you like to engage a firm that can be your business partner for human capital services? 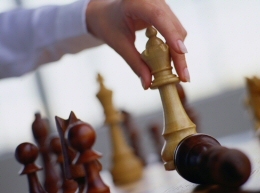 CareerStrategies, LLC does not fill assignments�we provide strategic human capital solutions.